I am privileged to be living the life of my dreams − immersed in nature’s abundant gifts, I get to share its vibrant life force with people who feel the need to reconnect with the nourishing, soothing & healing properties of the natural elements. As the founder of Terre d’Hysope, and designer of the Quebec INSPIRATA NATURE Ayurvedic Oil Collection, I underwent a significant life shift in 2009. I quit my position in the pharmaceutical industry and created a new life for myself in the beautiful Bellechasse area, located on the south shore of Quebec City. Inspired by medicinal plants, essential oils, and the history of the Augustinian Nuns, considered by some to be the pioneers of health and wellness, I became passionate about the amazing science that is Ayurveda. The heart of my work aims to offer concrete and simple ways to take care of ourselves daily, and to suggest tips on how to maintain and rebuild our own health and vitality. As taught by the philosophy of Ayurveda, it is my sincere belief that our body is unique and can regenerate itself. For the last years, based on this concept, I have worked at creating each of the oils of my INSPIRATA NATURE collection; a range of ayurvedic herb-infused oils designed for the body and for massage. Through conferences, training sessions, workshops, television & radio shows and private consultations, I am on a mission to promote the benefits of Quebec-based plants, and the important role of herb-infused oils and essential oils. I also strive to raise awareness on the benefits of daily Abhyanga, an ancient, regenerative, ayurvedic self-massage technique. Almost 8 years into my business venture, I wake up each day, grateful to be a part of this vibrant nature, gazing at my gardens and the rolling hills that lead toward the St. Lawrence River. Let’s keep in touch! Follow me on social media for latest news on wellness, vitality, events, conferences and other related stories. Krystine St-Laurent is an engaging speaker, author, columnist and expert on Health, Vitality & Ayurveda. She is also the producer and host of the TV show Santé! La Vie !. As a skilled herbalist and certified aromatherapist, Krystine is the mastermind behind INSPIRATA NATURE, a splendid range of infused herbal oils, and the founder of TERRE D’HYSOPE – “Where Nature Meets Wellness and Balance”. Krystine is head of research and development of each of her wellness products. She is also a Perfect Health Ayurvedic Lifestyle coach, certified by The Chopra Center (Deepak Chopra), and was awarded the title of “Master of Wisdom & Meditation” after completing this certification with davidji. She is also a valued member of the Monastère des Augustines’ Holistic Health Experience team. Having worked as a nurse in several departments for over 20 years, Krystine excels in simplifying, in a concrete and efficient way, information about what the body needs to do to preserve its health and vitality – a process naturally accessible to all. She also adapts age-old wisdom to plants that are easily found here in Quebec; in our gardens and our grocery stores. Drawing on the richness and abundance of medicinal plants, essential oils, herbal medicine and ayurvedic wisdom, we seek to enhance wellness and vitality by helping people reconnect with their true nature and better understand what makes them unique. 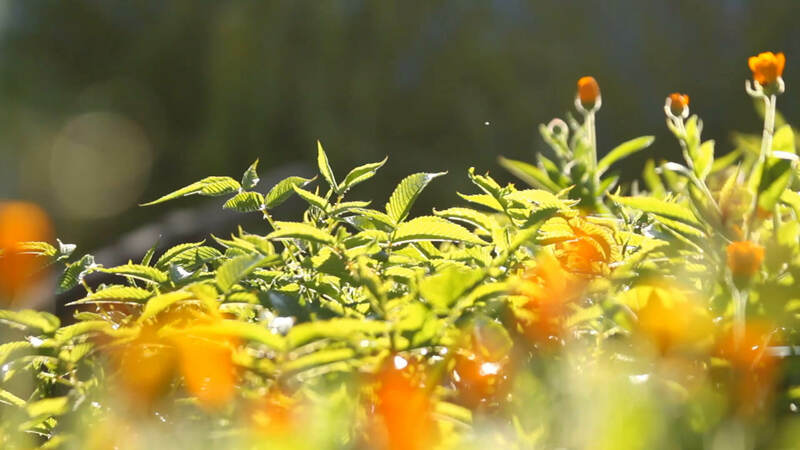 INSPIRATA NATURE’s vision is to inspire and equip each individual to make time for their own daily personalized ritual, in accordance with ayurvedic teachings; allowing them to attain an enriched, healthy and abundant life, with a close connection with nature. The guidance provided on this website is for informational purposes only and under no circumstances must be used to replace the advice of a physician. Some herbs may interact with taking medication. Make sure to consult a professional and to be well informed before using our products.